This wake-up call should be taken seriously by the colleges and the business community. For decades, we’ve taken for granted that our region’s six community colleges were the lifeblood of our economy, pumping thousands of well-qualified graduates into the work force each year to take middle-class jobs or start successful small businesses. But results of recent accreditation visits indicate that we’ve been taking these assets for granted. Now the organizations overseeing five of them are getting a wake-up call. The biggest shakeup is at Cuesta College in San Luis Obispo, which has now received its second warning letter in less than a decade and must shore up its academic and administrative efforts or risk the loss of accreditation. Santa Barbara City College and the three institutions in the Ventura County Community College District — Ventura College, Oxnard College and Moorpark College — have gotten a lesser warning but all three will have to address administrative or governance issues. The one community college that’s not under a warning is the one we believe has been the best-run organization among the six: Allan Hancock College in Santa Maria. 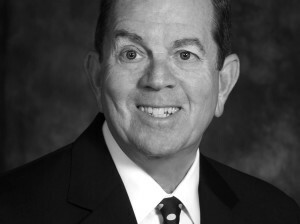 Under the leadership of Jose Ortiz, Hancock has consistently met the needs of a community that’s been severely challenged by the recession. We’ll stress that for the most part, what’s wrong with our community colleges is not a question of throwing more money at problems and hoping for fixes. In the case of Santa Barbara City College and the Ventura County Community College District, for example, better connection with the business community would be a plus. So would more consistent governance and ending what could become a revolving door of people in senior executive positions. The high-profile and still-unexplained departure of Andreea Serban last year from SBCC has become a symbol of what appears to be a leadership vacuum on the Central Coast. Cuesta College, the smallest of the group, needs more aggressive efforts to reach high-quality students and find a permanent president. We know there are historic rivalries at play between the cities of San Luis Obispo and Santa Maria, but we’d go so far as to suggest that if Cuesta College can’t demonstrate the ability to attract students, merging Hancock and Cuesta into a single district with Ortiz as a strong leader might save a lot of money and get the SLO school on the right track. Community colleges don’t operate in an ivory tower — they must be accountable to the cities and towns they serve and they must constantly strive to improve governance and academic standards. This wake-up call should be taken seriously by the colleges and the business community. The future of our workforce depends on their success.